The hacktivist group Anonymous has taken down the Vatican’s website for a second time. The attack is part of the organization’s recent declaration of war against religion. 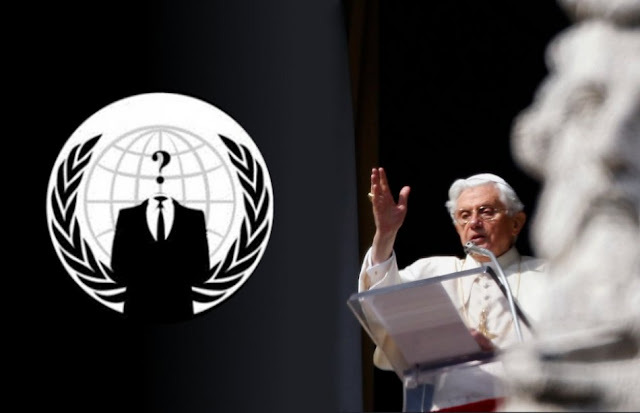 The personal data of journalists at Vatican radio was leaked online and the Vatican's website hacked for the second time in several days both attacks believed to be the work of the amorphous Internet activist group Anonymous. Unlike the first hack, which appeared to be a typical Distributed Denial of Service (DDoS) attack, this one is more than just taking down the website. Vatican officials declined to discuss the breach while the attack was still under way. "We regret having to announce that your systems are less secure than what you would like to believe, because, while the hype was directed toward the darkening of vatican.va, we took the liberty to implement a small incursion into your systems," the statement reads. Anonymous justified its attack by claiming that Vatican Radio is responsible for high cancer rates in a neighborhood near the broadcaster’s main transmission facility.